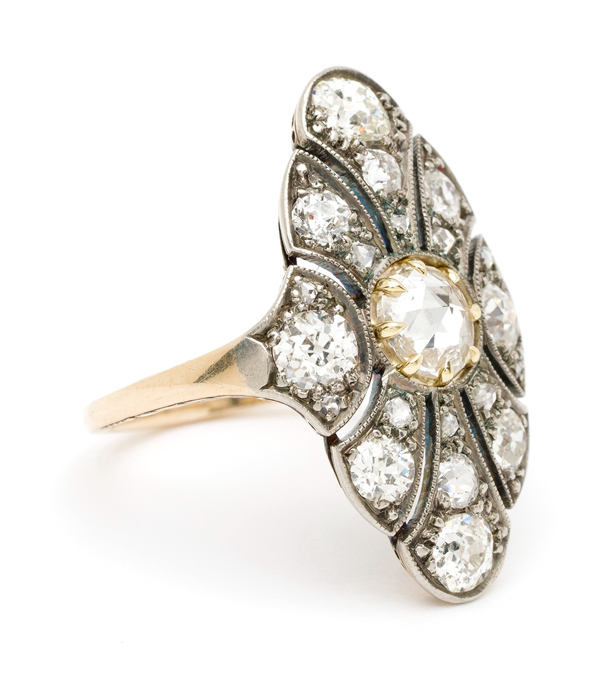 Elegant and edgy, this stunning vintage ring leaves little to be desired. Crafted in mixed metals, 14K white and yellow gold, this statement ring creates excellent finger coverage while keeping a low profile to the hand. 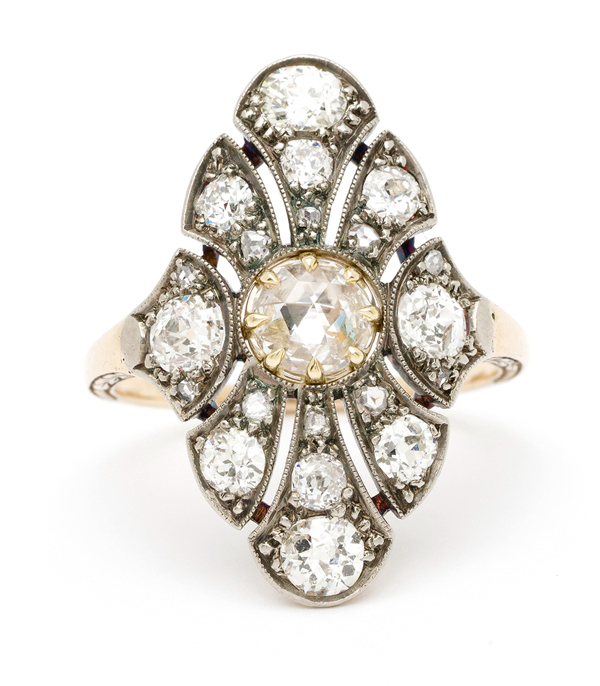 Set with a mixture of bright Old European cut and Rose cut diamonds, this elaborate ring features over 1.38ctw of antique diamonds. 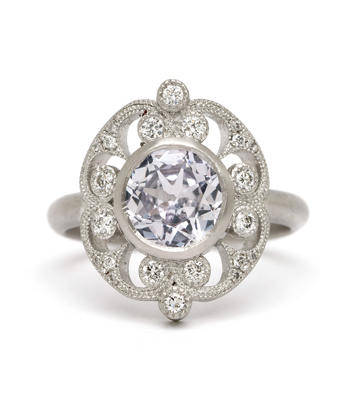 We replaced the centerpiece with a sparkling Rose cut diamond center (0.44ct) for greater durability and sparkle. 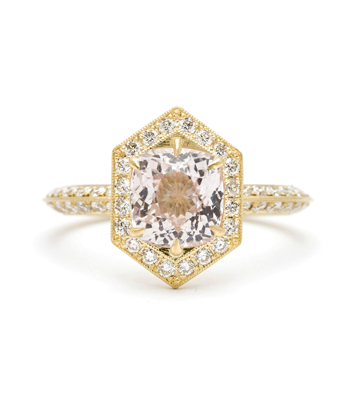 We think this piece would make an exquisite and unique engagement ring for a vintage loving bride, though we’d happily wear this beauty as a right hand ring any day. 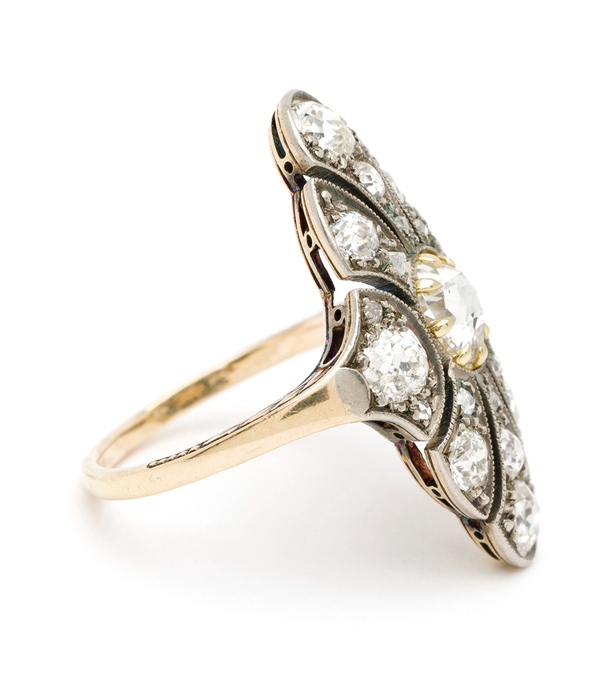 This stunning 1920s ring is as its name extols, all that Jazz! 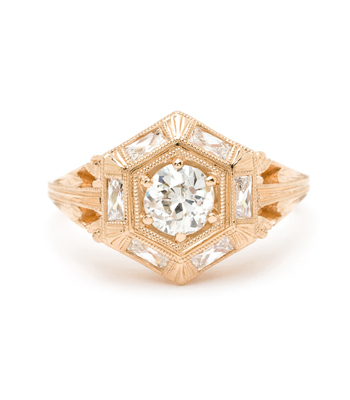 Categories: Antique Diamonds, Art Deco Jewelry, Sofia's Favorites, Vintage Engagement Rings, Vintage Rings, Vintage Romantic.